Flourless Peanut Butter Brownies - Bake.Eat.Repeat. One bowl flourless peanut butter brownies that are refined sugar free, yet filled with deep dark chocolate and peanut butter flavour! Brownies are probably my favourite treat. And cookies. And, well….let’s just say I like chocolate. As often as possible. But when I can have a dark chocolate brownie that is rich and decadent and amazing, and it isn’t filled with sugar? Even better. Now I won’t go so far as to call these healthy. They do have a good amount of peanut butter and chocolate in them after all. 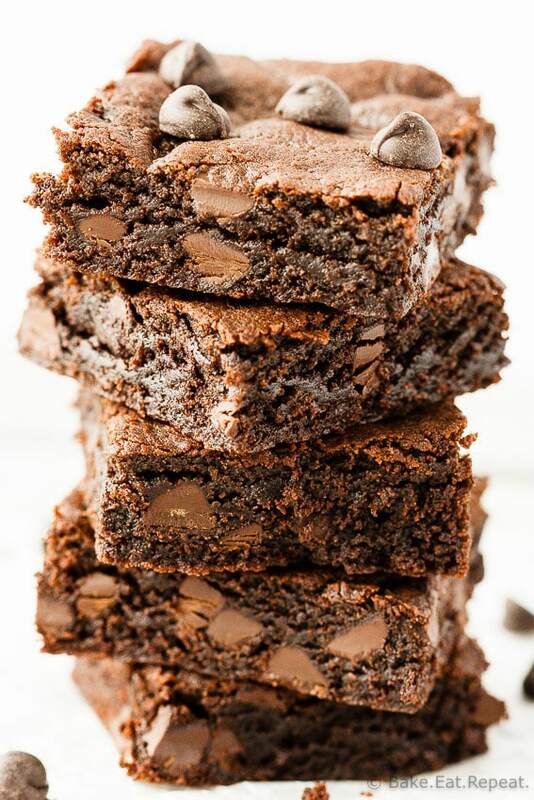 But they are definitely better for you then your typical peanut butter brownie, which would still have plenty of peanut butter and chocolate, but would also include white flour, and a whole lot of butter and sugar. These flourless peanut butter brownies? They have no refined sugar (except for what’s in the chocolate chips – which I’m not counting! ), no butter, no flour (obviously) and yet they are filled with deep dark chocolate and peanut butter flavour. That is a brownie that I will be making again and again. Because this batch? Definitely not going to last too long. In fact, I already ate way too many of these things. You know, for quality control purposes. I had to make sure that they were good before sharing them with you right? Actually you know what? I think I am just going to go ahead and declare these brownies health food. Why not? Dark chocolate is good for you. Peanut butter – full of protein. Flour and refined sugar free – both good things. So you know what? Let’s just call these flourless peanut butter brownies healthy. And then we can have them for a snack completely guilt free. Anyone like how my mind works? I just made a dark chocolate peanut butter brownie a healthy snack rather then a decadent indulgence. Feel free to leave me in my happy place here with my chocolate. No bursting the bubble. 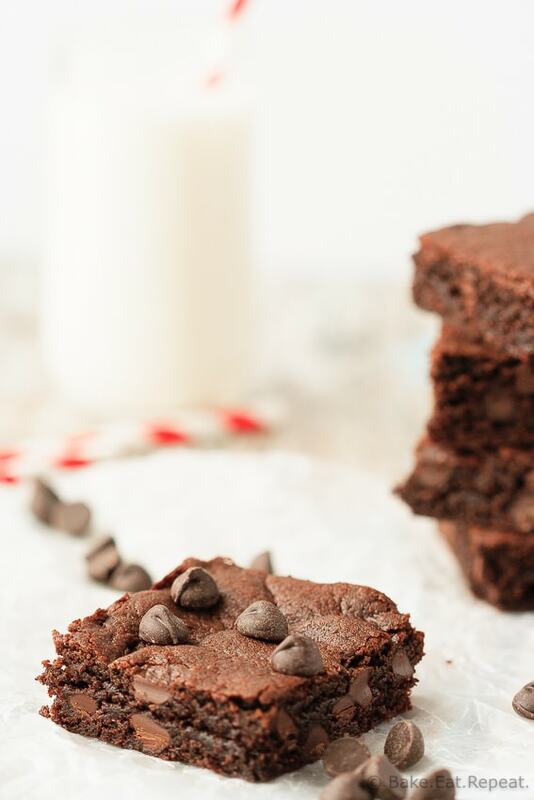 I’ve also shared this Flourless Peanut Butter Brownie Recipe over on Food Fanatic. I have yet to make a flourless brownie. I'm almost afraid of them. Like they are not real or something. But these look delicious, Stacey. And the addition of peanut butter has me wanting to give them a try! I never used to like brownies too much when I was younger (crazy, right? ), but luckily, I've come to my senses! 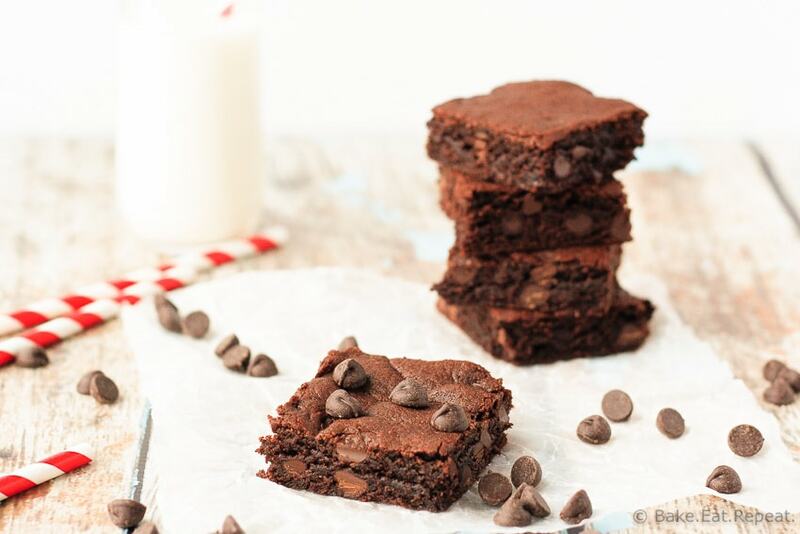 I'm always in awe of flourless treats, and these brownies look PERFECT! I love the peanut butter in here. Sounds SO good! I love a super easy recipe like this. What's better than chocolate and peanut butter together?